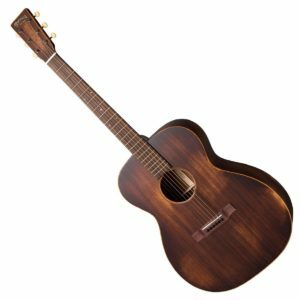 Tim Armstrong is the songwriter behind the infamous punk band Rancid — and behind each of those songs stands Armstrong’s songwriting partner: his trusty ’60s Fender Acoustic. 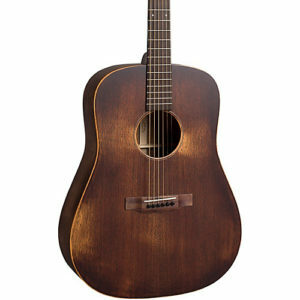 Armstrong worked with Fender to design a modern version of his time-tested partner — giving it a strong, rich voice. 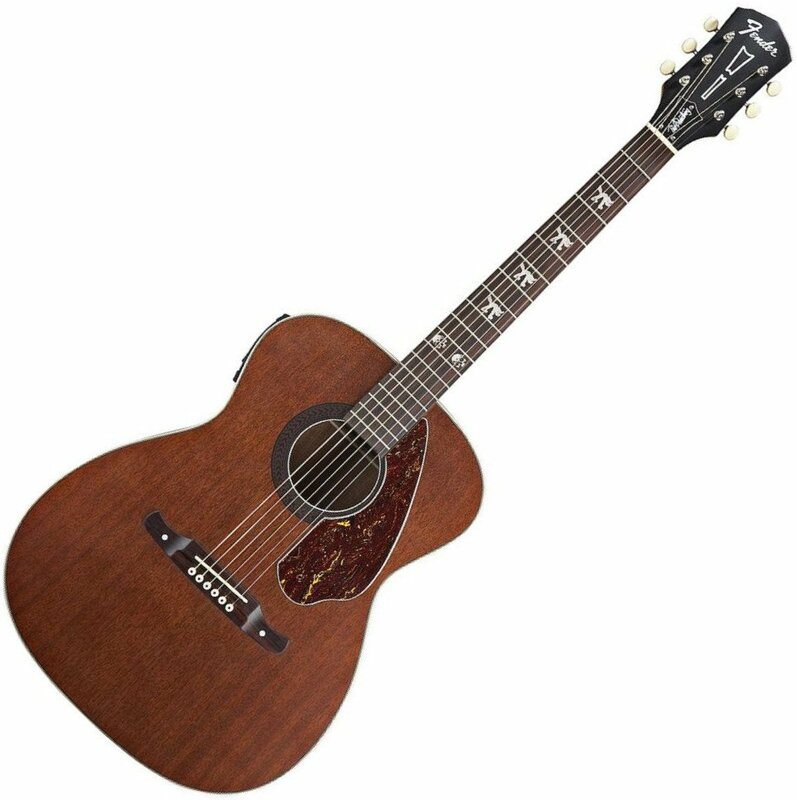 It also features a few touches of flair to match up with Armstrong’s signature style, like pearl acrylic Hellcat fret inlays as well as two skulls adorning its twelfth fret, black-painted headstock, and a 4-ply tortoiseshell pickguard. 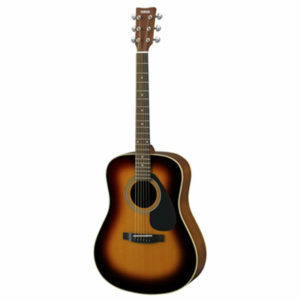 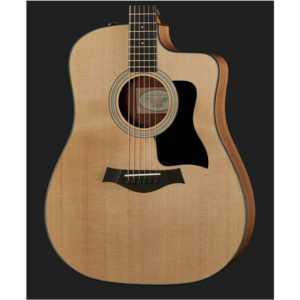 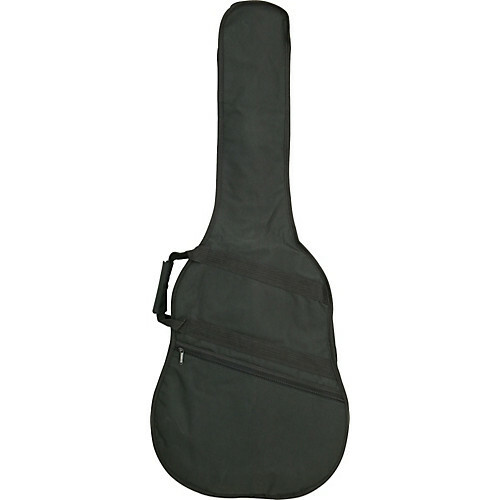 The Fender Tim Armstrong Hellcat 12-string acoustic guitar features a solid mahogany top and mahogany back and sides, giving it a rich and warm voice that is further enriched by its concert-sized body style with Fender’s advanced scalloped bracing. 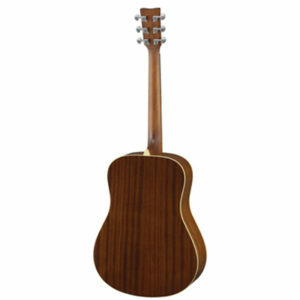 The instrument also features a maple neck, a walnut fingerboard, and vintage-style open-gear tuners. 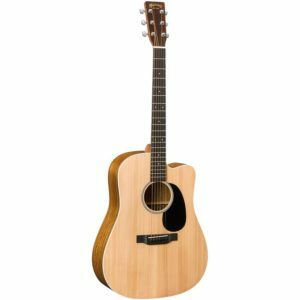 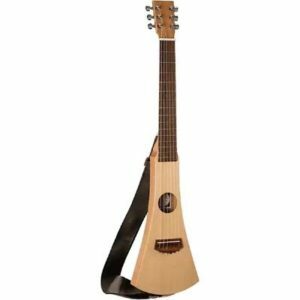 This well-established and innovative solid wood 16 Series guitar was originally conceived and developed as an experiment to deliver better sound at a lower cost by using a special combination of Martin’s proprietary bracing systems. 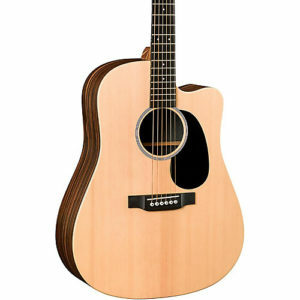 The Forward-Shifted X Scalloped bracing, as you’ll find on this DC-16E, has become a longtime Martin favorite. 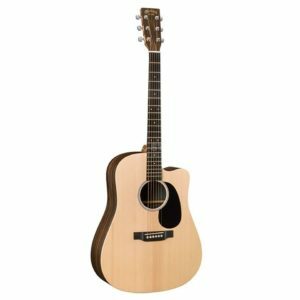 The DC-16E is crafted of premium tonewoods, including a solid Sitka spruce top, sycamore sides and back, and a black ebony fingerboard. 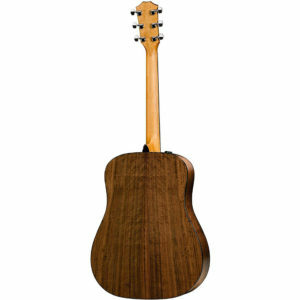 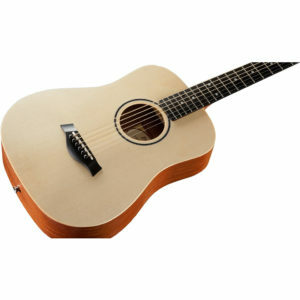 In a dreadnought-sized guitar, this tonewood package delivers huge, yet balanced tone. 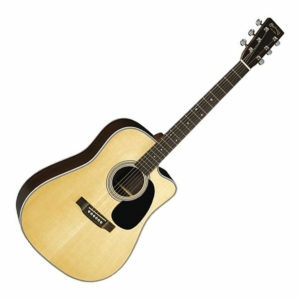 Nearly 16 inches wide and five inches deep, the “D” is Martin’s largest body, giving the DC-16E one of the biggest voices in the acoustic guitar world. Take the stage, plug in, and the exquisite Martin tone is flawlessly amplified by the onboard Fishman Matrix VT Enhance electronics. 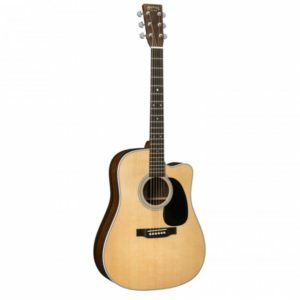 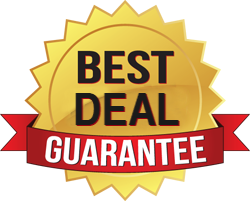 The Martin DC-28E acoustic-electric guitar delivers an incredibly high velocity of sound, allowing you to pick dynamically and aggressively without sacrificing tone. 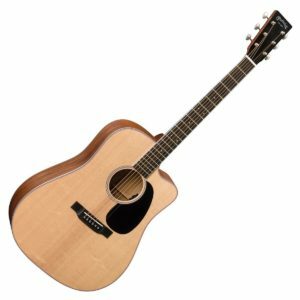 Deep, resonant bass response with rich overtones combines with powerful volume and projection to create a sound that demands attention. 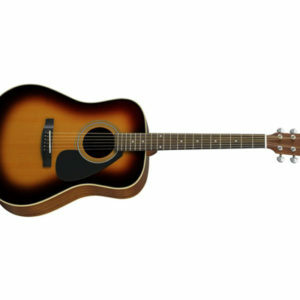 You’ll love the comfortable feel of the DC-28E’s Modified Low Oval neck and slick-playing ebony fingerboard. Fishman Aura VT Enhance electronics ensure that your DC-28E is ready to hit the stage. 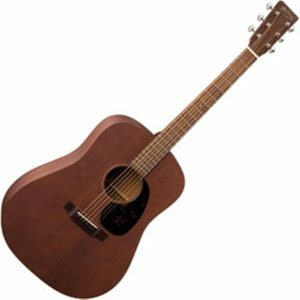 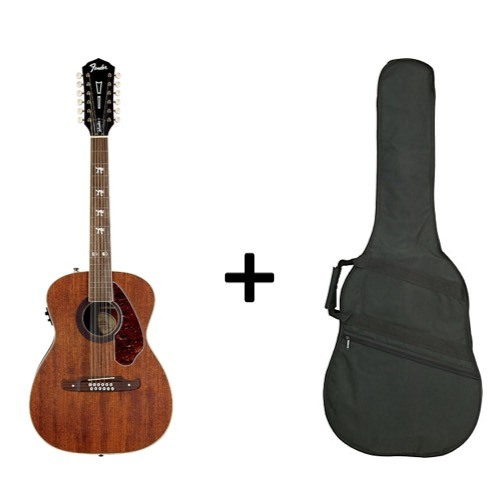 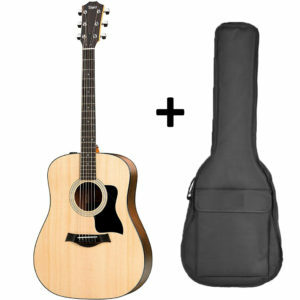 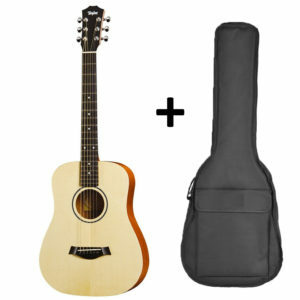 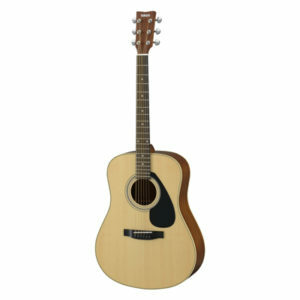 No matter what type of music you play, the Martin DC-28E acoustic-electric guitar is up to the task.